Too dark. I prefer the plain white background as it is now. Why change!? I agree. It seems a million miles from the branding Posterous is best known for. 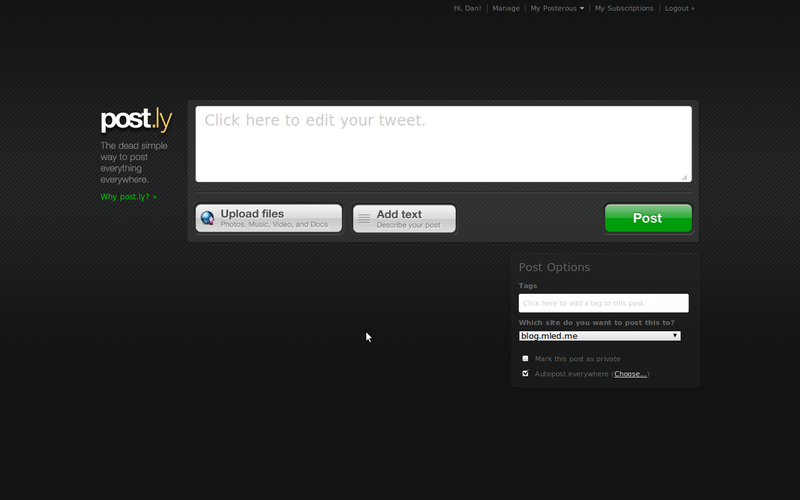 The colour scheme reminds me of TweetDeck and the site copy seems similar to Tumblr.